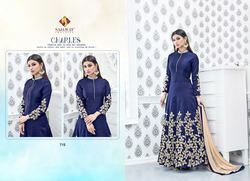 Prominent & Leading Manufacturer from Chennai, we offer designer suits, vishnu nirvaah ladies designer suit, lt 102 designer suits, nakashi designer suit, vinay prachi 21 designer suit and vinay designer suits. 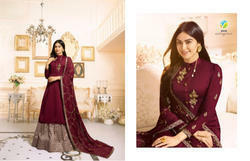 With immense industry experience, we are offering a beautiful range of Designer Suits. This suit is broadly admired among the clients owing to its alluring design, eye-catching colors and optimum softness. Additionally, our best quality experts specially take care on the overall quality and finish of these suits. We offered entire range in customized options also, to suit the precise requirements of our customers at affordable rates. 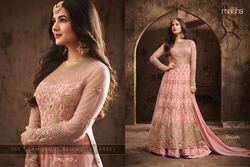 Our thorough search of the latest market enables us to provide a commendable range of Vishnu Nirvaah Ladies Designer Suit. Well known for its special features, this suit is broadly demanded by huge customers. After capturing the diverse requirements of our valued clients, we are providing these products in various colors and shades. This suit is manufactured by our industry experts with the use of high grade quality materials and the modern technology. 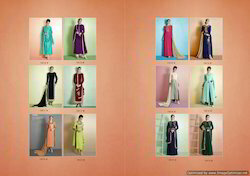 Clients can avail these suits from us at nominal prices.